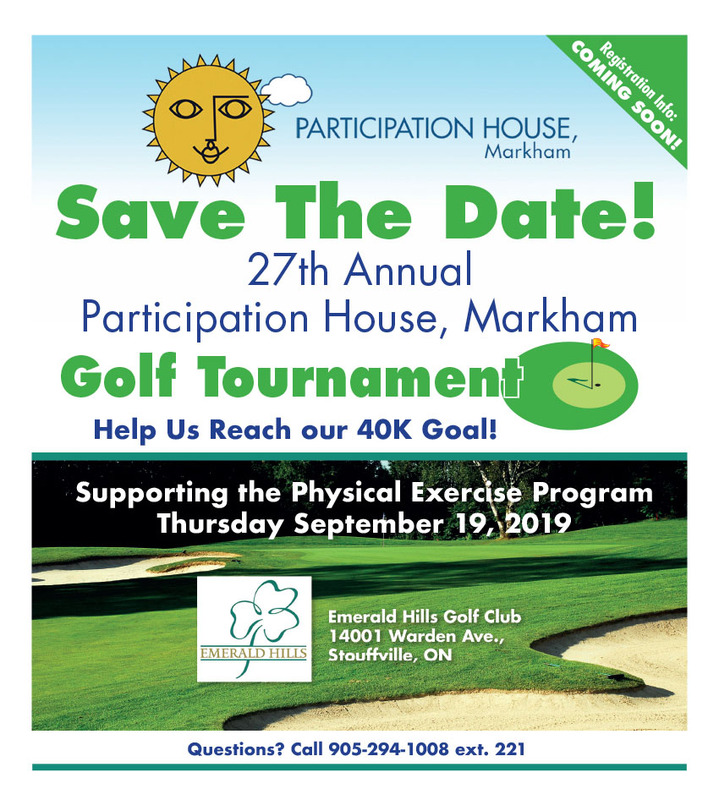 Participation House, Markham Events | Your support moves us! HELP US REACH Our 40K Goal! Secure your individual spot or foursome in our Annual Golf Tournament today. Register Now! Sponsor our Golf Tournament and have your company represented to all golfers and dinner guests. Sponsor Now! Donate an item for our Raffle or Auction, or make a cash donation to our Golf Tournament. Donate Now!